On Sunday 7th September 2014 Suisse took on Schweiz at U11 and U13 level at the annual Leman Cup played at En Marche in Cossonay. 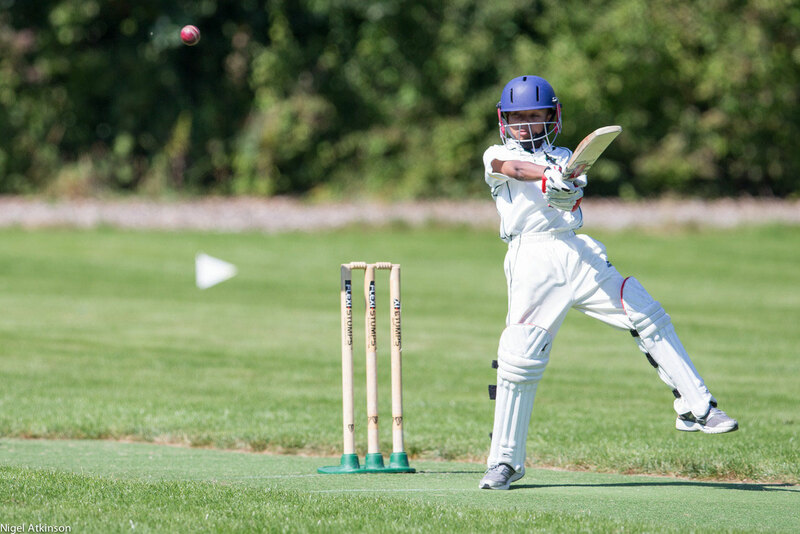 The Under 11s played first on a picturesque day at Cossonay Oval, complete with a healthy crowd and refreshments around the new Cossonay Clubhouse. Schweiz batted first and scored a competitive 107 runs with Ethan starring with the bat, supported by Marc, Max and Kyle. Wilf, Arjun and Kabir were strong for La Suisse with the ball. In response, La Suisse scored 104 in a tense, gripping end to the game, narrowly losing. Arjun starred with the bat for La Suisse, while Ethan, Marc and Kyle were strong with the ball. All in all a great game, tightly contested, and a fine prelude to the Under 13 match which followed. La Suisse won the toss and elected to bat first. Ed bowled well early on, whereafter Archer and Ismail proceeded to build a strong platform for the later La Suisse hitters to play from. Hit they did, with Hemant, Amogh, Kian and Alex all crossing the rope on multiple occasions, including some big sixes which drew wild applause from the interested crowd. La Suisse finished with 187 runs off its 25 overs. Aryan led the platform building for Schweiz, who were unfortunate to lose Ed caught and bowled off a strong strike first ball. Thomas, Hemant and Aidan were all full and straight with the new ball with few wides, which heaped pressure on the Schwiez batsmen. While Westy and Dayn batted well, Schweiz had by this time fallen well behind the asking rate and towards the end the result was never in doubt. 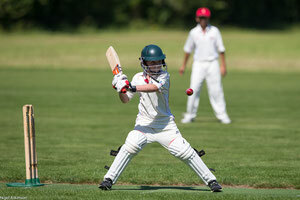 Tristan kept well for La Suisse, with 2 run outs and only 2 byes. Schweiz finished on 125, and graciously handed over the Leman Cup to Hemant, the captain of La Suisse, who will proudly keep it until next year." Further information on the Leman Cup is available from Michael Kelleher or Yeti Sinh.